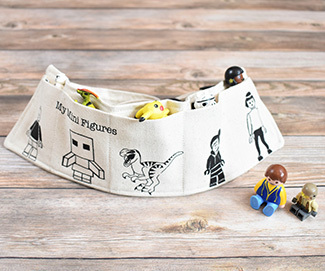 This utility belt will allow your kid to carry their favorite figures wherever they go. This belt holds 5 figures and will attach around the waist with a fully adjustable clip. 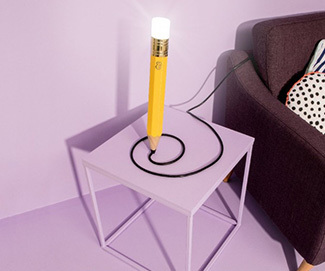 It will comfortably fit a child from 3 to 8 years old. front and extra-soft sherpa fleece on the back. 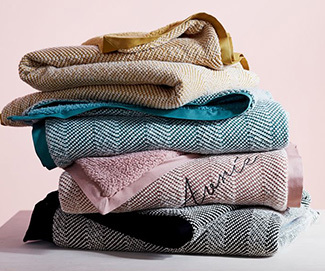 It’ll keep your baby warm on-the-go. Keep your kid as cuddly as a Koala! 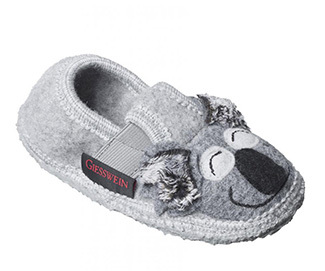 Whether they’re climbing over the furniture or cuddling up on the couch, these cozy boiled wool slip-ons will keep your child’s feet fresh, dry, and protected. 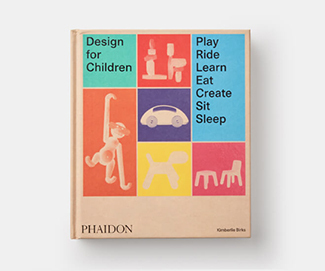 Design for Children, is a comprehensive, genre-defining survey of children’s product and furniture design from Bauhaus to today. 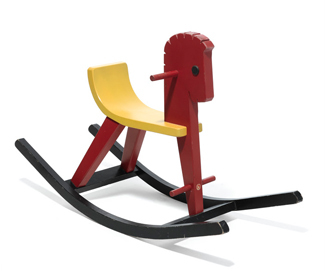 A vintage, 1950’s German rocking horse manufactured by Konrad Keller Holzspielwaren. 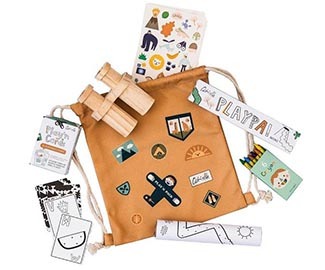 A bag full of travel fun for little adventurers! 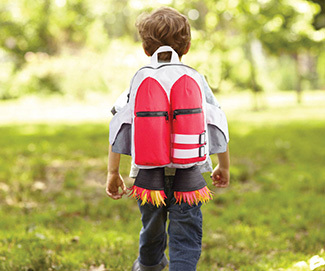 The Play’n Pack is a backpack filled with imaginative play for small folk.